Editor’s note: Jonathan Sills is an executive in residence at Battery Ventures, where he helps advise portfolio companies on marketing strategy. Battery is an investor in Relay Foods and HotelTonight. In Silicon Valley, it’s sometimes easy to focus solely on social and other types of cutting-edge, digital advertising when advising startups on their marketing strategies. But these businesses, particularly those serving specific geographic markets, can also amp up customer acquisition by combining their Facebook, Twitter and Pinterest strategies with old-school, traditional media marketing campaigns. Radio spots. Local newspaper ads. Billboards. Cable airtime. These are all time-tested tactics for companies trying to acquire new customers, but they’re often looked down upon as liver-spotted has-beens in the thumping nightclub of today’s digital and data-driven marketing environment. Detractors say these old-codger strategies lack the flexibility, adaptability and low-entry cost of a self-service cost-per-click (CPC) campaign. But it doesn’t have to be this way. Based on recent testing, I’m convinced that a certain kind of retro/digital mashup — a May/December marketing romance, if you will — can pay real dividends for startups willing to experiment and look past their first impression. Consider Candy Crush Saga, King.com’s megahit game for mobile and tablet devices. Launched in November 2012, it quickly attracted a massive following fueled not only by organic and viral distribution online, but also relevant mobile advertising. Data collected by iSpot.tv and other third-party sources shows that Candy Crush then took its marketing retro: In March of last year, King began layering national cable advertising onto its marketing strategy, and significantly ramped up those TV buys in the subsequent quarter. Another innovative May/December strategy is the one recently pursued by Relay Foods, an online grocery retailer for natural and sustainable foods based in Charlottesville, Va. Right now, the company operates in only a handful of metro areas throughout the mid-Atlantic region. So it has to think locally when it comes to advertising to its target customers: educated, affluent women who love attending the farmers’ market but rarely have time. Until recently, Relay acquired new customers mainly through branded delivery trucks that drove around its target markets, as well as word of mouth and targeted “street teams” that canvassed public spaces and offered Relay gift cards. But the company wanted to find new ways to amp up customer acquisition without breaking the bank. The company tested almost a dozen different tactics, but finally hit upon an old-school/digital hybrid strategy that worked. On the digital side, the team ran CPC campaigns on Facebook with page-post ads that linked back to the Relay site. These spots targeted women 25 and older in the geographies Relay serviced and were purchased at around a one-dollar cost per click. On the retro side, the team tested running “remnant” ads on local radio stations. These were inexpensive time slots that were discounted because they “remained” after other advertisers bought specific inventory but still hit the target audience. In Richmond, Relay paid about $25 on average for a traditional, 60-second radio ad, which meant the company could run 200 spots a week for $5,000. This gave Relay a pretty heavy mass-media presence in that market. It also cost far less on a CPM basis than what the company was quoted by digital-music service Pandora for ads targeting the same region. Finally, Relay topped off the campaign with retargeting, working to re-engage and convert potential customers who didn’t sign up immediately, through both Facebook’s exchange and the broader web. The results? The company started averaging about 1,000 new customer acquisitions a week, up from fewer than 100. Sales, gross margin and contribution margin shot up, and Relay was able to mine this radio audience for months before shifting back to a mostly digital strategy. Even out-of-home advertising — the good old billboard in all its current forms — can help complement cutting-edge, drive-to-app and mobile web advertising campaigns. HotelTonight, the last-minute hotel-booking app that services over 250 destinations around the world, recently was able to secure billboard placements in select airports at a fraction of the normal price. This was really an endemic placement for them, since business travelers represent a core user base. 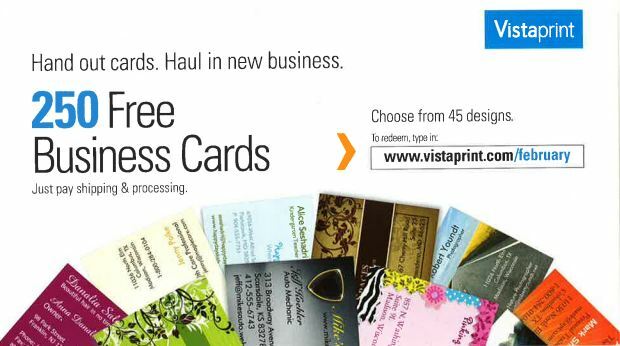 Similarly, VistaPrint, the e-commerce leader selling business cards, stationery and marketing collateral, among other items, has for many years maintained a dual presence on digital and traditional media. One of the company’s arguably octogenarian tactics that I’ve admired from afar is the use of package inserts, which are printed offers placed inside the shipping box of an online, catalog or TV order. Carrying an implied endorsement, they cost much less to get into people’s homes than individually addressed direct mail and can scale significantly. It seems like a great fit for VistaPrint, and Relay Foods also has used remnant alternative print channels successfully (with a regional distribution focus of course). I could also see companies combining content syndication campaigns on Outbrain or Taboola with remnant print-newspaper ads, or Twitter with local cable. These types of mash-ups may become more common as we see other online/mobile companies build businesses serving particular cities or geographic areas, at least early in their life cycles — provided those target customers reside in the same markets. So this strategy would work better for local-meal delivery, for instance, than it would for car rental. Yet many companies don’t consider old-school, local marketing because 1) it seems too outdated, and 2) it can actually be more expensive compared to national advertising, at least in audience-adjusted terms. Car dealers, restaurants and furniture stores traditionally have inflated the costs of such advertising, since they’re essentially held hostage to local media and may not apply a strict ROI lens to their media buys as they try to achieve strong reach in certain metro areas. But by strategically marrying inexpensive, remnant local advertising with a well-thought out digital campaign — then spreading retargeting on top, like the icing on a wedding cake — online businesses can dramatically boost customer acquisition. And that’s a love story both young and old marketing professionals can embrace.